On Sunday, hostilities near the town of Avdiyivka lasted more than 10 hours, and on the eastern outskirts of Mariupol – around-the-clock, speaker for the ATO at Ukraine's Defense Ministry Andriy Lysenko told a briefing, according to an UNIAN correspondent. According to him, in the Luhansk sector, the enemy in the last day continued with their armed provocations against the ATO forces. In total, there were seven enemy attacks there, he said. Read alsoUkraine reports 82 enemy attacks, 5 WIA in last day"In the Donetsk sector, the situation remains most tense in the town of Avdiyivka and its vicinity. Over the past day, a number of militant mortar attacks were recorded there. The enemy opened fire from a tank once, and after the sunset, the occupiers launched a quarter of Grad MLR ammunition set on our fortified positions in the industrial zone. In total, the fighting in Avdiyivka and its outskirts lasted more than 10 hours yesterday," Lysenko said. In addition to the difficult situation in Avdiyivka, the situation also exacerbated at the Svitlodarska Duha bulge, he stressed. 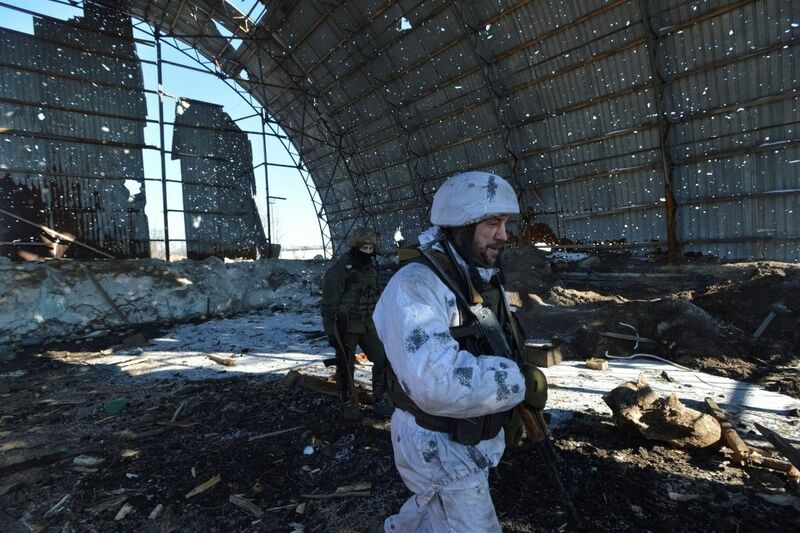 According to the Defense Ministry, the situation in the Mariupol sector also remains tense. Yesterday at dawn, the occupiers used tanks and mortars firing in the town of Maryinka. In total, there were 37 enemy attacks in the Mariupol sector yesterday, including seven – from heavy weapons.